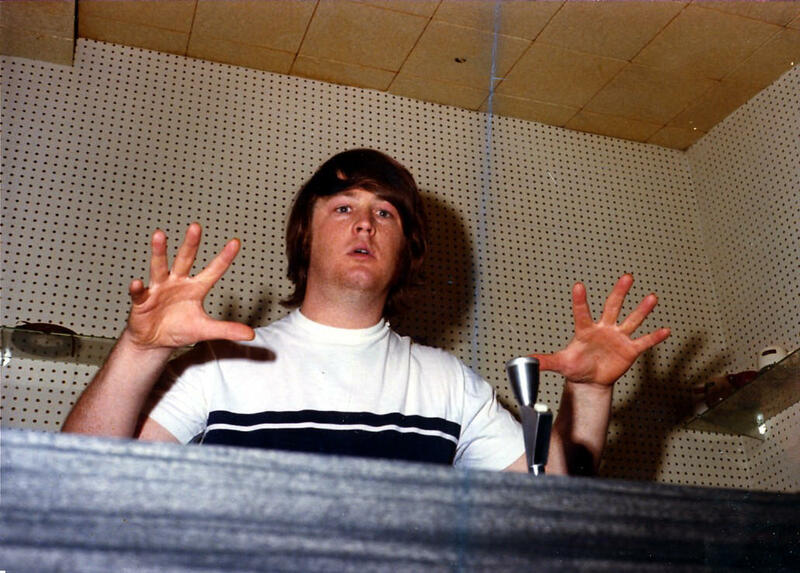 So … hold on — the guys who made Pet Sounds were the same people who made the The Monkees’ “music”?! And the goofy band on those Sonny & Cher albums were the same cats who played The Byrds’ Mr. Tambourine Man? What?! Crazy! But true. And they have a great story — told by the players themselves in this new documentary The Wrecking Crew — which was the name they were dubbed by the old guard they replaced — because these whippersnappers and their new-fangled rock n roll was “wrecking” the music business. What happened was — because L.A. was where television and movies were being made, they built a lot of different recording studios — and they were very busy. Add to that the Beatlesization of the world, and by ’63 or so, the star-maker machinery for pop music was in full rage. The old maestros of the musicals were suddenly getting invaded by smoking, bearded, dungaree-wearing beatniks. Who could play. A few years hence, groups of young people would form themselves into bands and this whole manufactured record-company-creation of pop stars would become obsolete, but while it happened, this same loose collective of 20 or so players made the music on everything from Sam Cooke to Paul Revere & The Raiders. And besides all that, members of the Crew also played the famous sax melody on The Pink Panther Theme, the galloping electric guitar on the Bonanza theme, that ridiculous Green Acres song, the acoustic guitar behind the M*A*S*H theme, the Mission Impossible theme! … and Batman fer gawdsakes! Not to mention the music in Cool Hand Luke, The Deer Hunter, Cocoon, Field of Dreams, Caddyshack, Around The World In 80 Days and on and on. And that’s a whole backstory on the film — it was made by Denny Tedesco, the TV producer son of the main guitarist in The Wrecking Crew — but in order to include the music that makes the story he actually had to do a Kickstarter campaign to raise the funds for the music rights! He wisely started shooting interviews back in the ’90s when the Crew were all still alive, and it was finished as a film in 2008, but has taken until now to get the licensing fees paid! There is a stark contrast between the lives and the music in this documentary and that depicted in other recent excellent behind-the-scenes docs including the one about another studio scene, Muscle Shoals, and about another batch of unknown but widely heard musicians, Twenty Feet From Stardom, but put together they weave a rich tapestry of the stories behind the music you’ve been dancing to your whole life. In select theaters starting Feb. 20th, 2015. DVD release to follow. For another great music doc — check out Festival Express. For another one also coming out this year — check out Johnny Winter: Down & Dirty. For another story on the behind-the-scenes of making a hit — check out Seinfeld, The Beatles and The Beats and such. And speaking of The Beats you might wanna check out — The Beat Movie Guide. Or the world premiere of the final cut of On The Road at the Toronto International Film Festival. Or here’s sumpthin on that wild Dylan movie I’m Not There. Or for another great ’60s music story check out My Dinner With Jimi by The Turtles’ Howard Kaylan. This is great! But I thought you were finishing your book?! How do you have time to do this too?? Can’t wait to see you in Wonderland in May!!! Thanks for your movie picks!!!! I hope we can see this one soon!!! Pet Sounds and The Monkees in the same sentence?! That’s got to be a first. I can’t even believe it. Guess I’ll have to see this. Thanks. Uncle Mike & I contributed to the funding of this film! We got to spend an evening in Seattle at the Experience Music Project with director, Denny Tedesco and the incredible Hal Blaine who was drummer on the ‘record of the year’ for six years straight! I’m told our names will appear in the credits. Hope so! Ha! Beautiful! How cool! And yeah — Hal Blaine!! And what a place to have that *experience* … Gehry-meets-Jimi !!! And yes — there is a list of contributors in the credits at the end. Once again, weir ridin’ the same wave! At the end of the evening, there were just the four of us left. Hal Blaine says to me, “Are you guys driving back to Canada tonight?” I said it was ok cause I had a wrecking crew playlist that we had listened to on the way down. He said “That stuff still gives me goose bumps when I hear it on the radio!” I told him that it did the same to everybody. “The soundtrack of our lives!” Hal wistfully repeated my line! Beautiful !! What a great moment and memory and sharing! It’s so nice to be able to give those complements to the living while they’re still here to hear them. Way to go! Can’t wait … thanks for this, Brian! Audio Archive.org of Dead shows, Kerouac, etc.